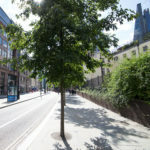 The Ultra-Low Emission Zone, becoming operational in April 2019, aims to alleviate poor air quality within central London. 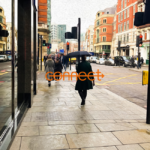 In this piece, we touch on the challenges and opportunities that the ULEZ brings to our work as a transport consultancy. The Ultra-Low Emission Zone – what is it and what can we do about it? The large majority of cities worldwide are suffering with air quality issues in one form or another. 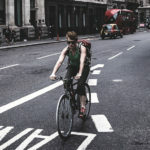 London is no different in this respect, with its poor air the result of several different factors including the impact of road-based transport. 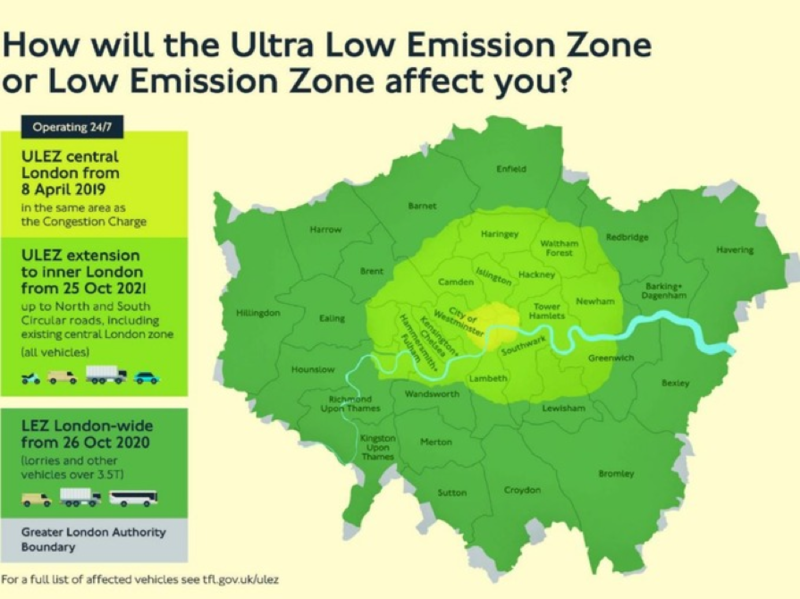 The Ultra-Low Emission Zone (ULEZ) is a blanket policy implemented today (8 April 2019) and presently covering the same spatial area as the Congestion Charging Zone (CCZ). In October 2021 it is due to be expanded to cover roads up to the north and south circulars. A particular emphasis has been placed on diesel vehicles, which are to be subject to stricter Euro 6 standards, rather than Euro 4 for petrol vehicles. At the moment drivers of older and more polluting vehicles in Central London during weekday daytime hours will be subject to the £11.50 congestion charge, £10 T-charge and £12.50 ULEZ charge, totalling £34/day. Sadiq has also launched a van-scrappage scheme aimed at micro-businesses, in order to help small businesses lease/purchase compliant vehicles. The ULEZ also interacts with the black cab and private-hire industries, whereby newly licensed mini-cabs must meet stricter Euro 6 standards for both petrol and diesel vehicles, whilst new black cabs must be zero-emission capable. A £5,000 grant is available for drivers of these vehicles to purchase a low-emission plug-in vehicle. Presently black cabs are exempt from the congestion charge, and existing vehicles registered before January 2018 will be exempt from the ULEZ up until they are twelve years old. 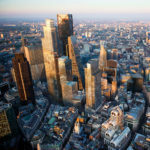 This layering of policy composes a greater incentive for both small and large businesses to make the change, as the costs for a fleet of vehicles to enter central London will rise significantly come April. 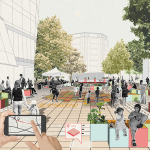 Where does planning come into this? 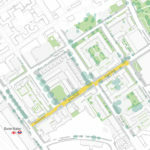 Car-free’ development has been used as a tool within central and inner London to minimise the number of additional vehicle trips a new development is expected to produce. 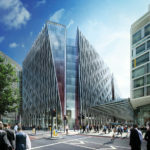 This shift has enabled developers and architects to leverage in improved cycle parking facilities within developments, which progressive London Boroughs now expect. 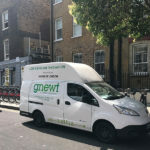 On the other hand, the boom in internet shopping and subsequent deliveries has increased the number of delivery vans using the roads, and within dense areas of London the number of trips by these vehicles comprises a large proportion of the total. In recent years ‘Consolidation Centres’ have been proposed to alleviate this problem, as the highway network is perceived to be impacted less by one larger delivery vehicle than several smaller ones. 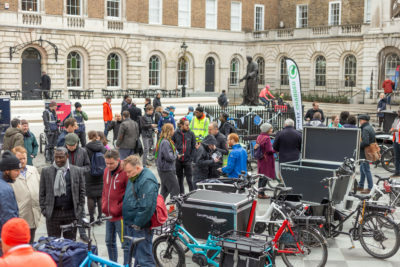 An additional positive shift is also occurring within the city whereby small businesses undertaking local deliveries (such as cafes and produce shops) are now able to trial the usage of e-Cargobikes, being a much more sustainable alternative to van deliveries. 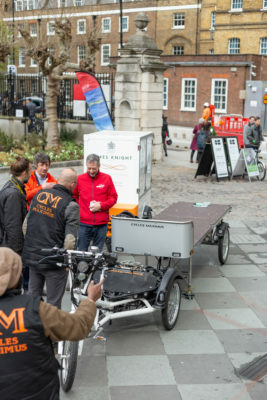 International logistics companies are also responding in a similar way by deploying cargo-bikes from central hubs to make ‘last-mile’ deliveries.